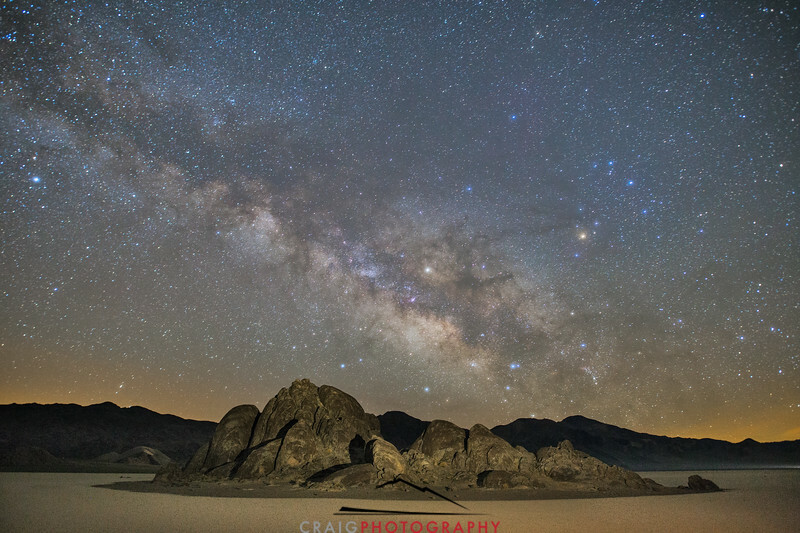 The Milky Way galaxy over the race track playa of Death Valley National Park during the dark of the moon. The night lit only by the light of the stars and the blue of sunrise has not yet begun to lighten the sky as the camera captures the faint colors of our home galaxy. The rock formation is called, the grandstand, standing guard over the East end of the race track playa, famous for the mysterious sliding rocks of the desert.